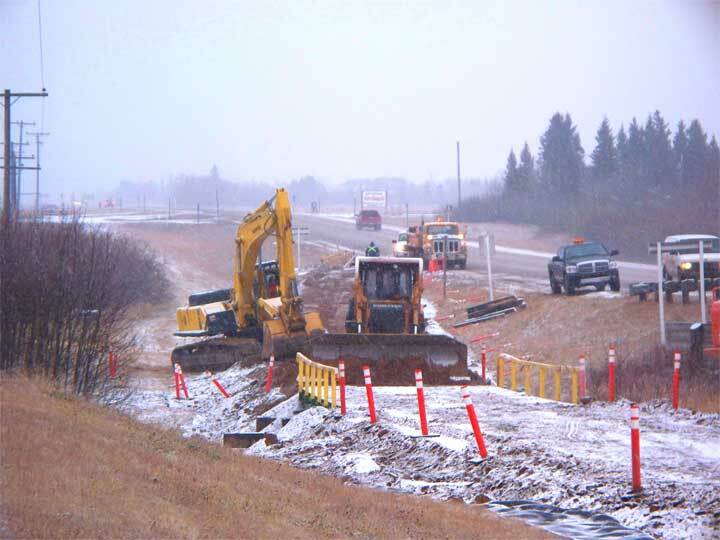 This project got underway a week ago (November 5 right) when fabric was laid down and gravel poured to create the detour road for highway 3 over the Doghide just east of Tisdale. This bridge takes a beating each and every spring and some summers several more times during the year when the Doghide goes into flood stage. 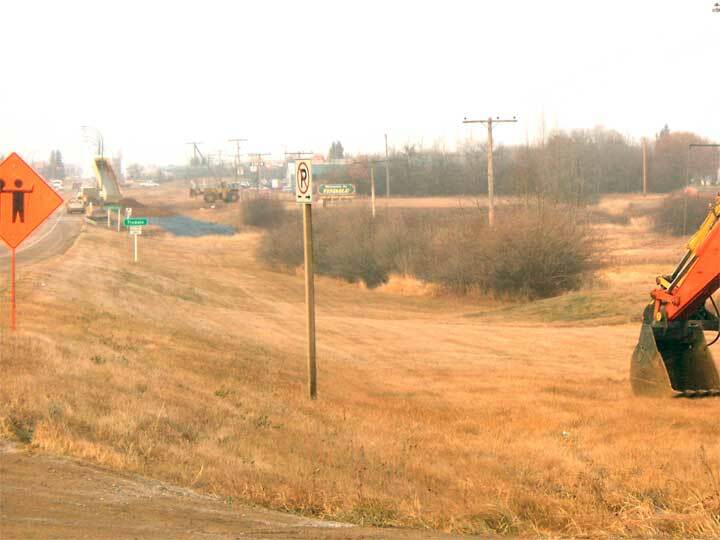 Saskatchewan is especially concerned about its bridges since there have been a few that have given way and that just is not what people expect from a bridge. This process of rebuilding a bridge does not always go quickly. 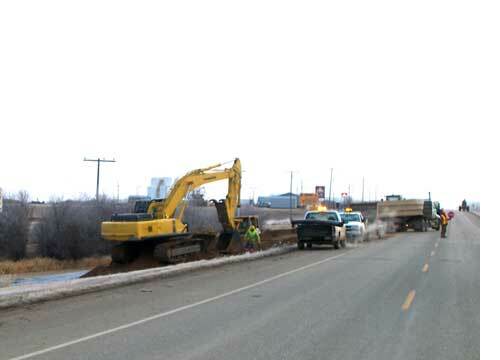 The replacement of the bridge on #35 north of town took a full month. 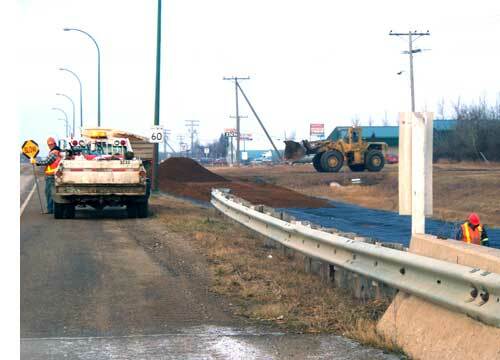 During that time they routed traffic over one side of the bridge at a time but with this project we are going to see one way traffic using the newly constructed detour with its own little bridge. The pictures below and at the top of the page were taken today and as you can see the detour is well on its way and there are four track hoes to work on the bridge removal and replacement.